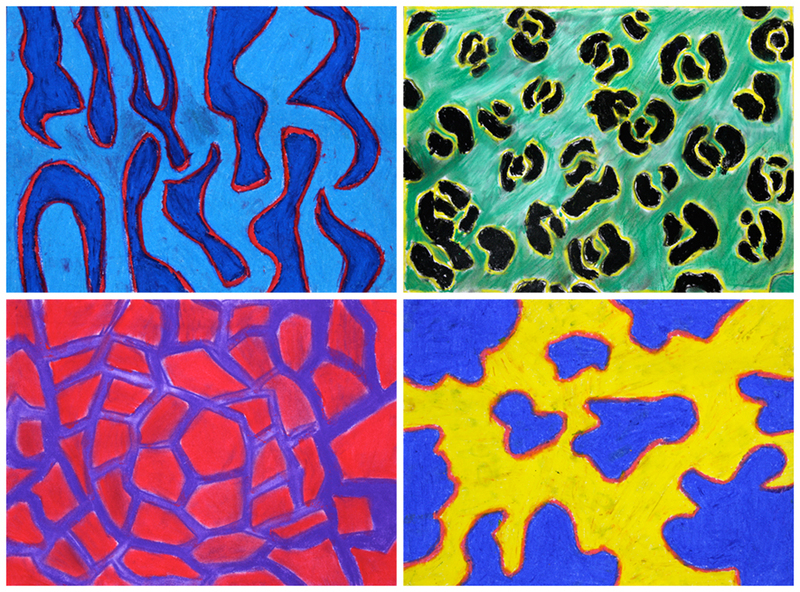 Animal prints inspired by the art movement Fauvism. 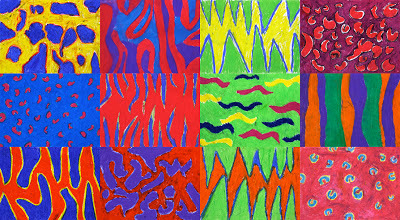 This year 5 and 6 class created them with oil and chalk pastels after viewing a collection of Fauvist artworks and recognising their trademark characteristic of strong, exaggerated and often nonrealistic use of colour. 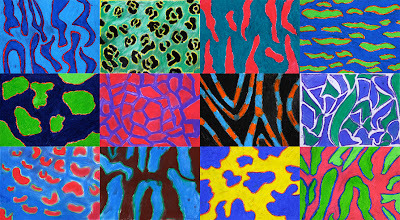 The name Fauvism was founded on the French word fauves meaning "wild beasts" (you can read more about the whys and wherefores here). 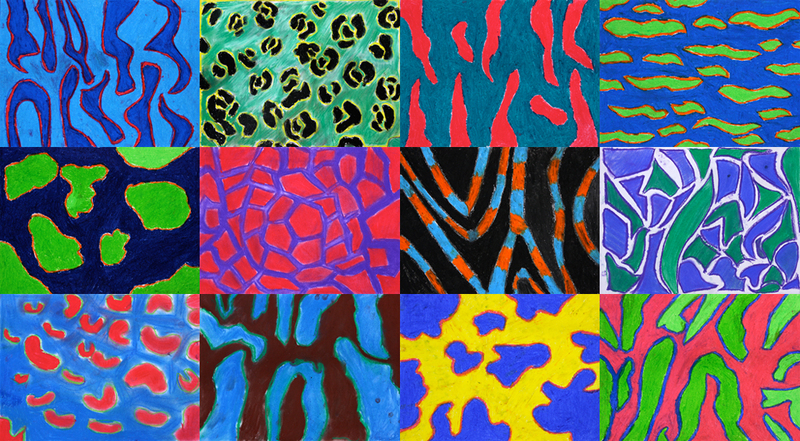 A little while ago I walked over a concrete path that appeared to have a turtle print stencilled into it's surface, it made me think that some animal prints in nonrealistic colours would be a simple and memorable introduction to Fauvism. 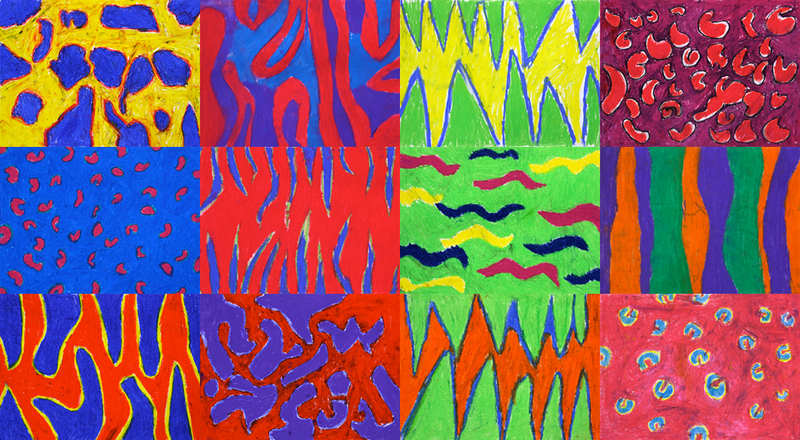 The students chose their own colourways and worked directly on the paper with no pencil lines underneath. The animal prints range from truly wild beasts like tigers and leopards, through to zebras, giraffes and the more sedate beasts like cows and even turtles. These are very well crafted. The colour combinations are vibrant. I will be pinning as I will be trying this. Many thanks.